On Saturday we held our first Wedding Open Day. We were joined by some of our favourite wedding suppliers, including Brides to Be, Beau Events, Celebration Cakes, Mary Smith Photography and Tamp Culture Coffee. Brides were able to come in and see the large range of flowers available in many different colours. 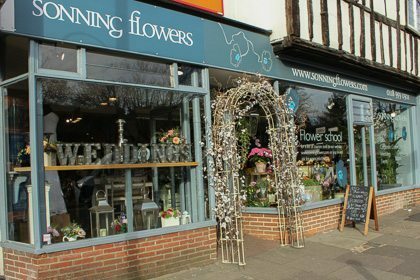 The Sonning Flowers staff helped them put flowers together to fit their theme, advised them on flowers that are available in the season they are getting married and discussed price options and prop hire. Here are just a few of the photographs from the day.